What Formidable Triggers and Actions are Supported? 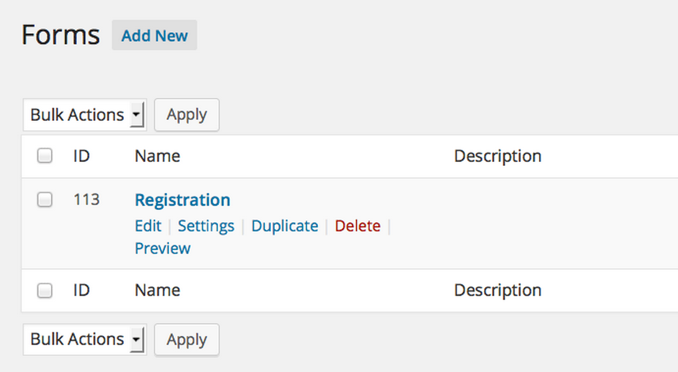 New Entry - Triggers when a new form is submitted. Delete Entry - Triggers when an entry is deleted. The first thing you'll need to do to get started with hooking up Formidable with Zapier and the hundreds of services available is check your WordPress installation to make sure it is set up just right. 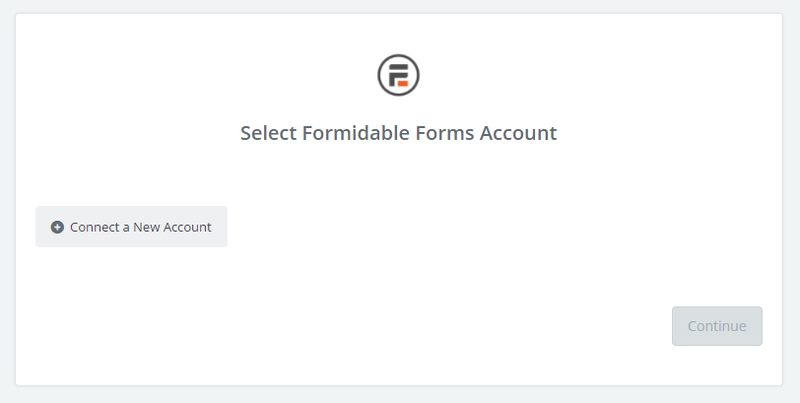 Download the Zapier add-on for Formidable. This plugin is only available to users with a paid Formidable Pro account. In your WordPress admin, go to “Plugins” → “Add New” and click the “Upload” link at the top of the page. Click the “Browse” button and select the zip file you just downloaded. Once the plugin is installed, click “Activate Plugin” or go to the “Plugins” page, find “Formidable Zapier” and click “Activate”. After you have installed and activated the Zapier Add-On, make sure you are NOT using the default WordPress permalinks. If you’re not sure, go to the WordPress Settings → Permalinks page to check. You will get 404 errors in Zapier when you try to authorize your Zap if you use default permalinks. The next step in integrating with Zapier is creating the form you would like to use to integrate with Zapier. This can include existing forms. In order to set up a Formidable form as the trigger for a zap, begin by creating a new zap. Select Formidable as the trigger. In Step 2, you will connect your Formidable Account to Zapier. You will find your API key on your site’s Formidable Global Settings → API tab. Just copy the API key into the popup back at Zapier. In the Site URL field, simply insert the URL of your site, including the 'http://www.' and the trailing '/' , then hit Continue. If you typed in your API Key incorrectly, you'll see an error like authorization failed: Your API key is incorrect. If you are unable to resolve any errors that appear, you can find relevant troubleshooting steps here. 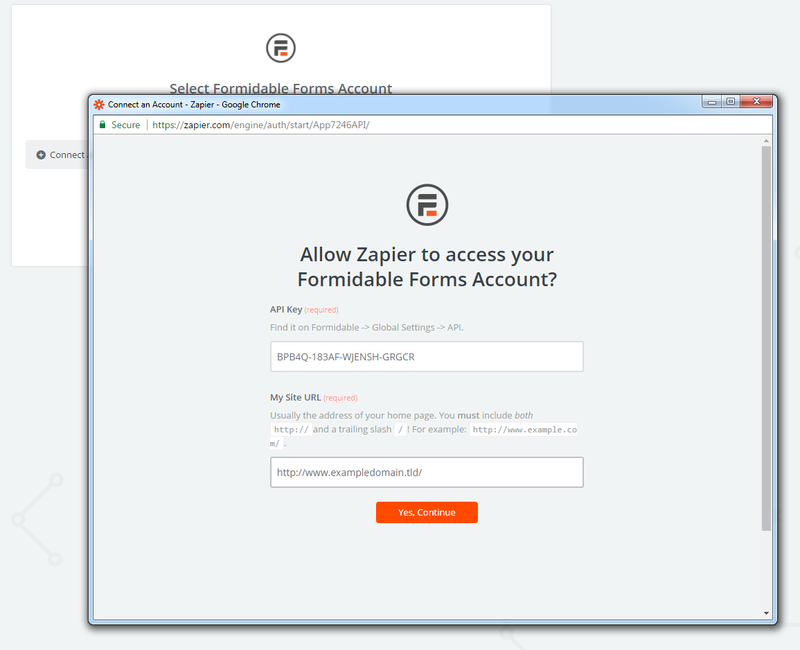 If you are experiencing any "authorization failed" errors or issues connecting Formidable Forms to Zapier, please click here to find relevant troubleshooting steps.